Document Management built into Masterdigm CRM. Make Your Documents Public or Private. Having a paperless system does not necessarily imply that all your stored documents are in place and are well-organized. Document management is simply the act of keeping all saved company data in an orderly manner such that retrieval of any page or file is quick and trouble free. Proper document management becomes a necessity for a growing company, especially one who needs a place where contracts, forms, templates, manuals, and other important literature can be stored securely. Masterdigm Real Estate CRM’s document management feature under the productivity tools list is another winner among other applications. It functions as a central storage bin for all documents, whether personal or shared, and can be accessed anytime by authorized users. It lets the user send documents via email including company brochures and journals with multiple pages. The document management feature also has archiving capabilities and data segregation through folders and is compatible with almost any file format. 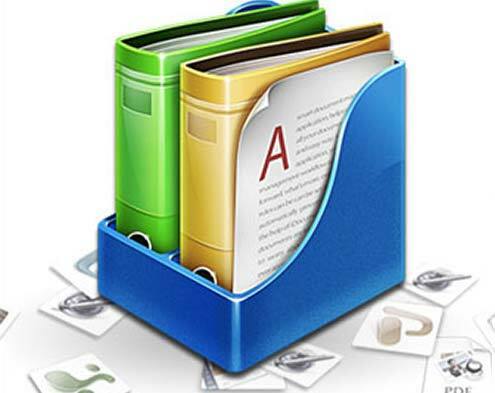 Documents that pertain to one common subject can be saved in one specific folder, so that the user can easily sift through hoards of information without confusion. Proper organization is always a key element of success, which makes Masterdigm CRM software truly a must-have. Masterdigm CRM will have every document right at everyone’s fingertips 24 hours a day, resulting to increased efficiency and productivity. Whenever there is an urgent need for a certain document, the user will simply have to log on to the CRM panel and retrieve this document anytime and anywhere – no need to panic! This is especially useful for mobile sales agents and businessmen who have a regular need for on-demand information such as collaterals, contracts, invoices, and billing statements. All documents are stored in a central database so that all users have on-demand access to critical company information. Everything from invoices to marketing collaterals to graphs to presentations and reports can be retrieved with just a few mouse clicks. Mobile businessmen and field agents can take hundreds of documents with them wherever they go! The central database serves as a one-stop, online repository of company data for most efficient business systems. When saving a document, you can tag relevant keywords to the file so that by typing in such keyword in the quick search tab would bring you to exact or similar documents. Locating old and seemingly lost files is unbelievably easy with the quick search feature. Why waste time remembering where you stored that file? Find it fast with a quick search. For every folder that you create in the system database, you can assign different levels of security for each, depending on document sensitivity or confidentiality. As manager, you have full control of the accessibility of company data. While the use of folders helps organize company files and makes them easier to find, it also segregates highly crucial documents so that permission is granted only to your most trusted and authorized members. Want to learn how to create an Intranet based type of document management within a CRM? Simply contact us below for a CRM demonstration.